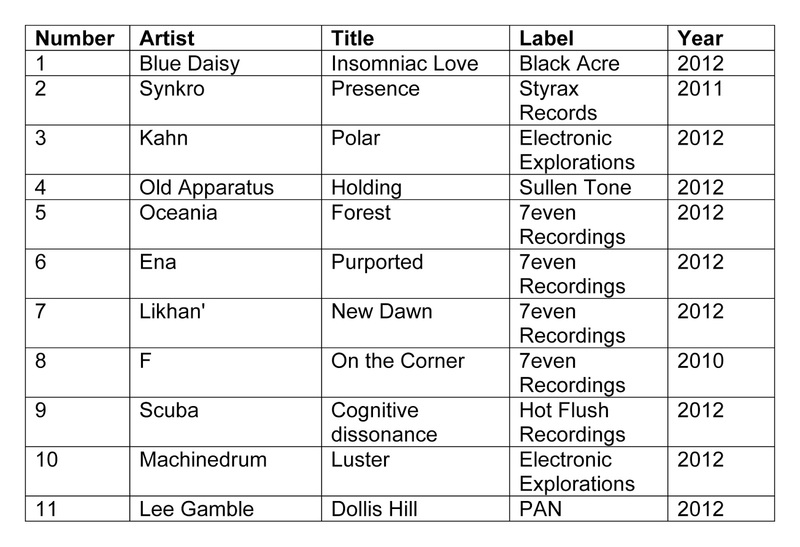 We didn’t play much dubstep or bass music so far on Cabeza de Vaca, but this weeks mind blowing show on Scanner FM is almost all that, albeit on the fringes somehow. This is really the problem with the “genre”: trying to locate a centre now is impossible. Indeed, this is what makes it so intriguing if impossible to keep up with. I got lost somewhere around the time when footwork came in. Indeed, it is the power of different electronic styles to draw from each other like the cloning monster in The Thing that makes them so interesting. But while all genres borrow and change parts, it is arguably bass music that is the most dynamic and hence the most formless since it has less functional and stylistic pressure in many ways. Techno, for example, borrows heavily, but must always remain rooted in 4-4 and retain its modular flexibility to keep the mix from falling apart or showing too many joins. Bass music is the equivalent of a four wheel drive all-terrain vehicle: adaptation to environment, palette and BPMs is essential. As for the 7even Reecordings label, I was under several misconceptions before starting out my research based on failing memory most likely. I was under the impression that the label was run by Florent Aupetit out of Toulouse, but it seems to have always been the dominion of Greg G from Nantes and now in Tokyo. Aupetit under the artist name F has certainly been responsible for some of the labels signature moments, but their early days in the dub techno influenced wave of dubstep are given rise to more diverse possibilities. Russian producer Oceania (who I assumed was a woman from the cover picture of his EP) brings a more James Blake-ian balladry, Makoto keeps a foot in the drum n bass camp whereas up-and-coming Japanese producer brings something different altogether. 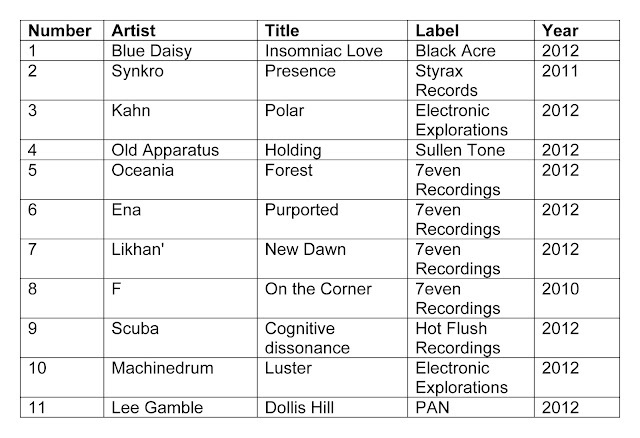 Except for the absence of real footwork or UK funky styles, 7even is pretty representative of the diversity of current bass music and its ongoing potential. For more details on the label and history check out a recent interview and mix (including some unreleased tracks) at Inverted Audio. As promised, new technology should be available at Scanner FM within a week or two to increase your listening experience. Dont forget to check out the other electronic music shows on Scanner FM, that amongst others include Feedback, Störung Radio and more. Information about the massive and cheap Electronic Explorations compilation can be found here. With regards to the discussion on the market value and colectibility of vinyl records it is worth reading the discussion for the vinyl release of four tracks from this collection by clicking here. Also we make an announcement for two pending shows. The first is by the L’ull Cec promoters and will feature Lee Gamble, EVOL, Mark Fell and Yutaka Makino in Barcelona on the 22nd December. More details here. The first announcement for the L.E.V. Festival for 2013 has also been made and as always looks interesting. Two videos have also been published with highlights of the 2012 line-up. LEV 2012_Day 1 from LEVFestival on Vimeo. LEV 2012_Day 2 from LEVFestival on Vimeo.